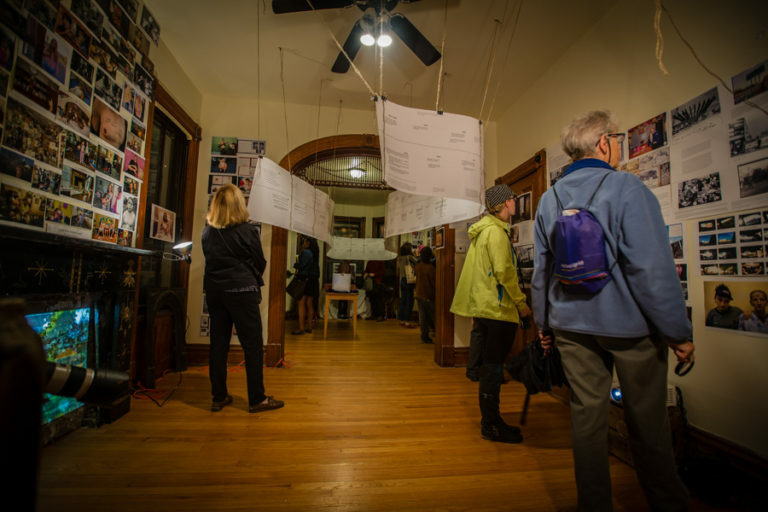 The Breathing Lights Arts Awards competition was created to commission a series of local artists’ projects related thematically to Breathing Lights to take place during the installation. 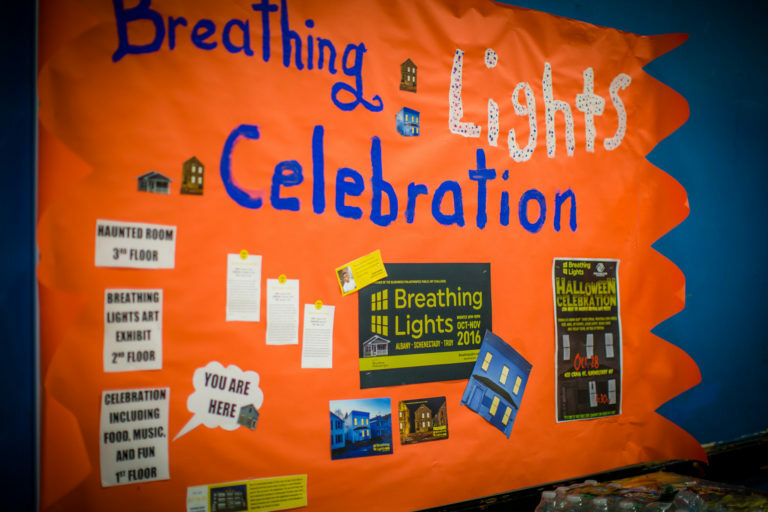 Winning projects were chosen based on their artistic excellence and their ability to expand Breathing Light’s engagement with diverse audiences. 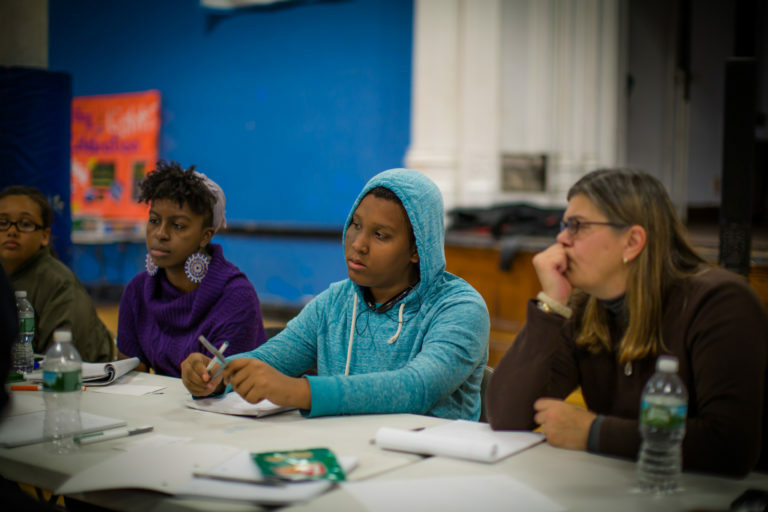 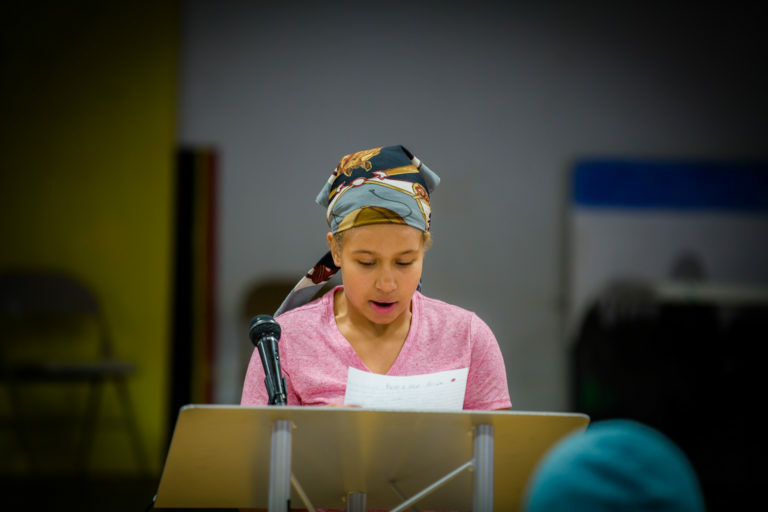 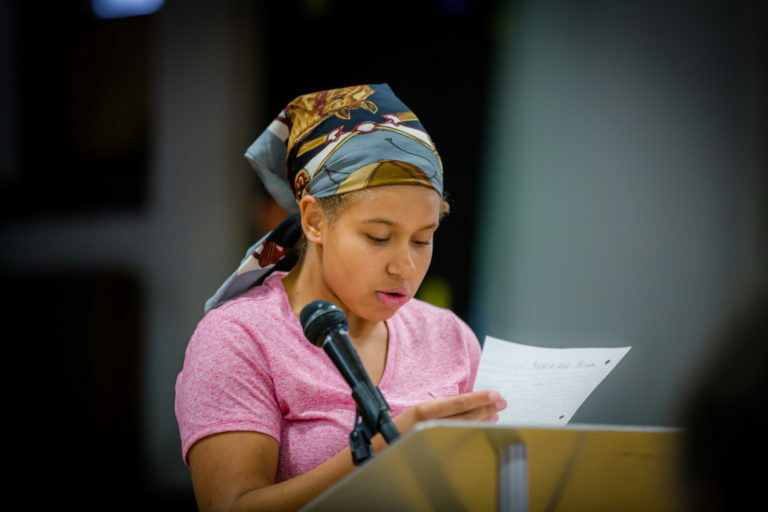 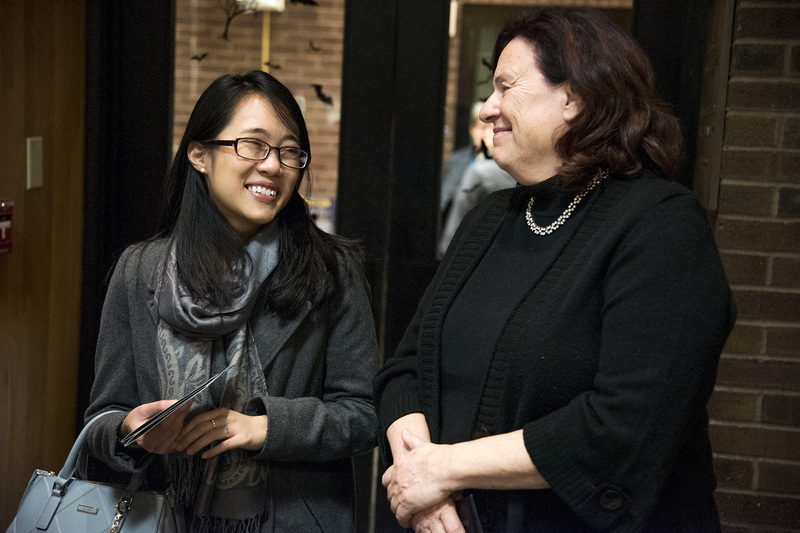 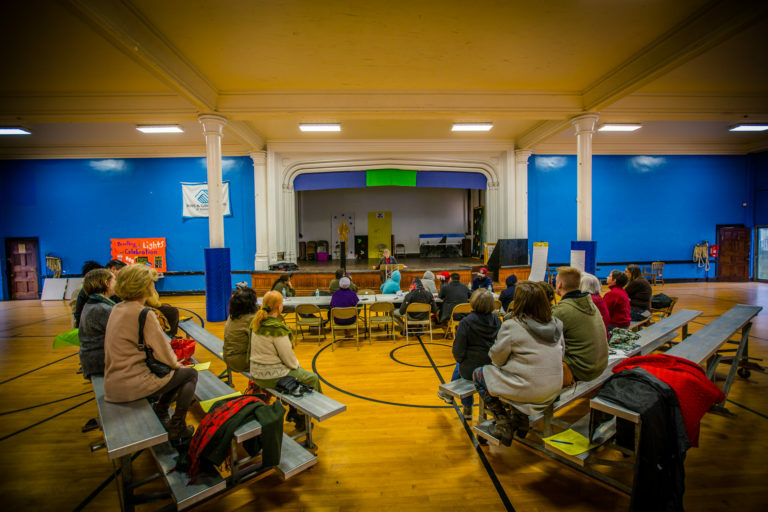 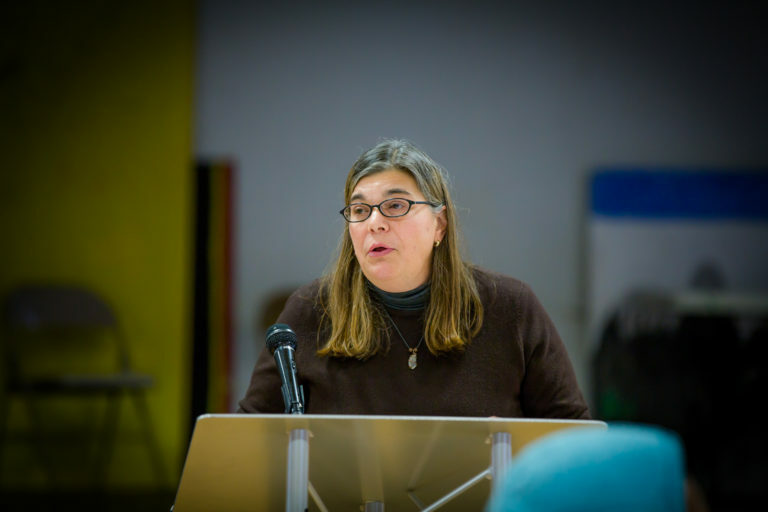 Danielle and Nancy hosted scattered-site poetry readings with writers curated from the Troy and from workshops with youth and seniors. 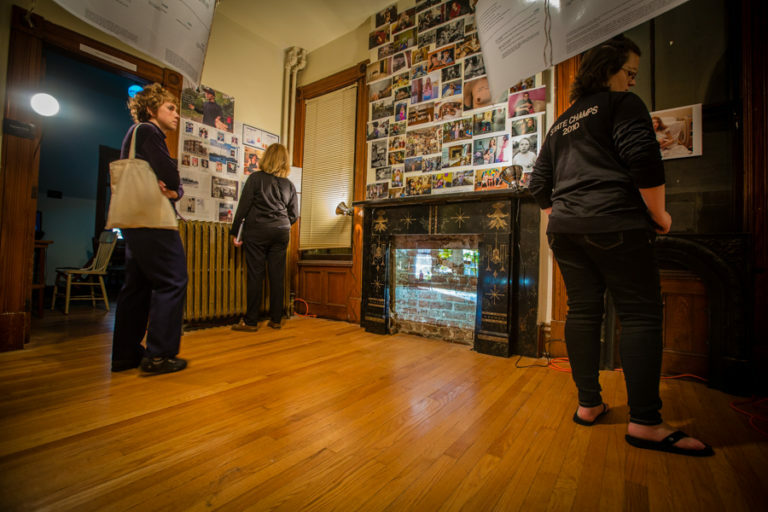 The readings took place in Breathing Lights neighborhood hubs and on walking tours in surrounding neighborhoods during the installation. 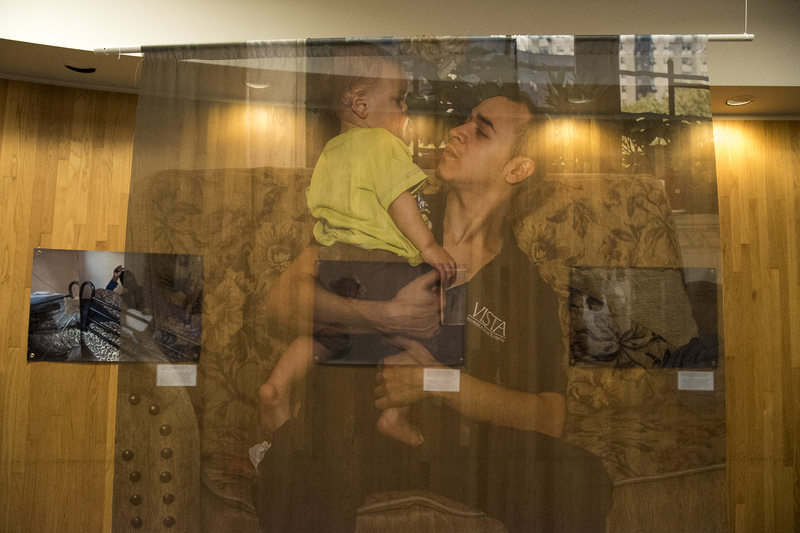 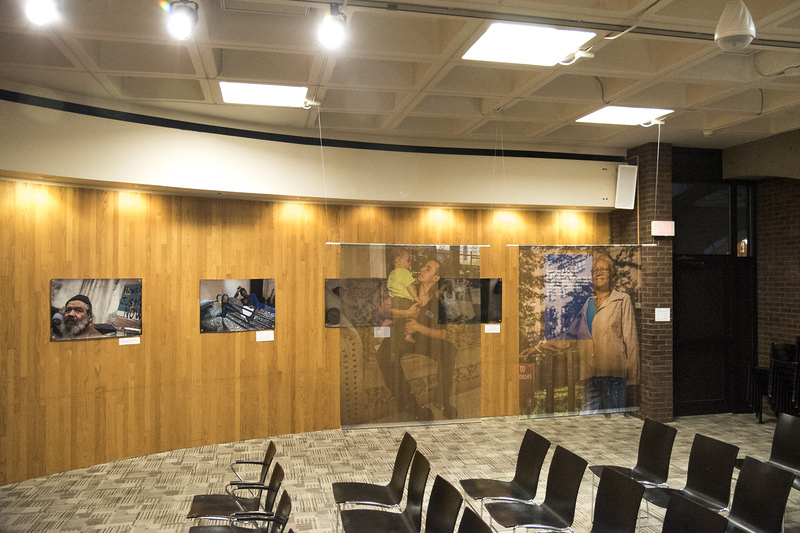 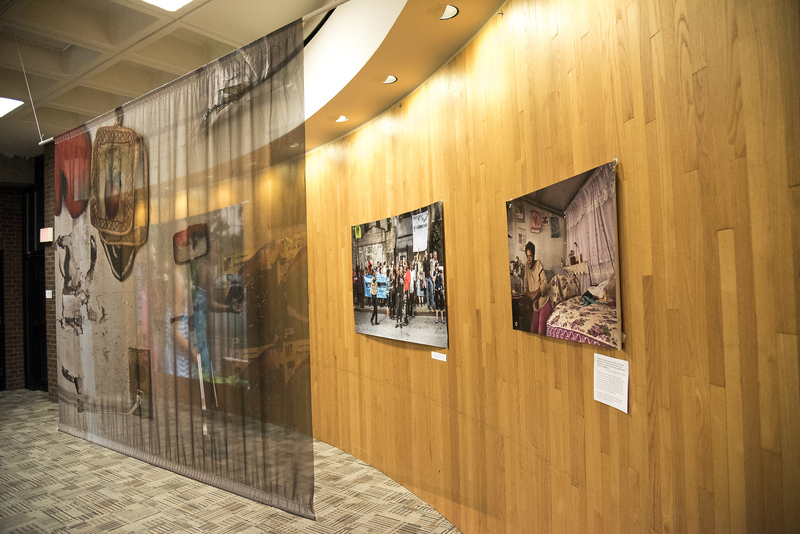 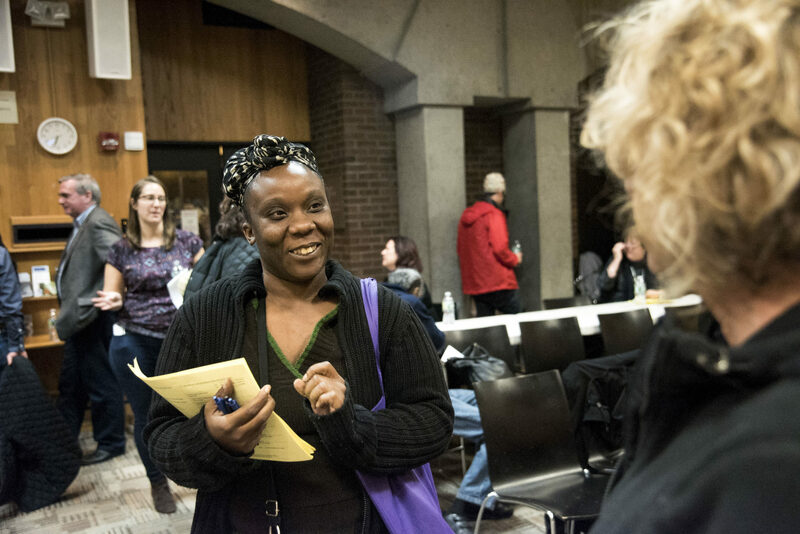 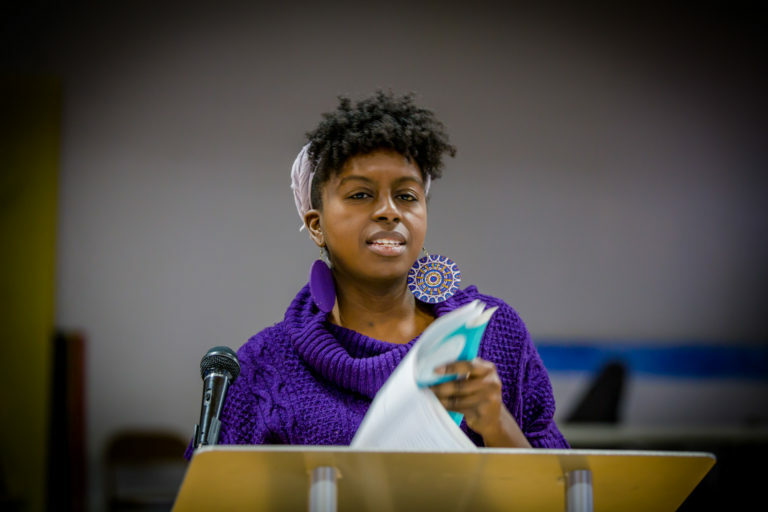 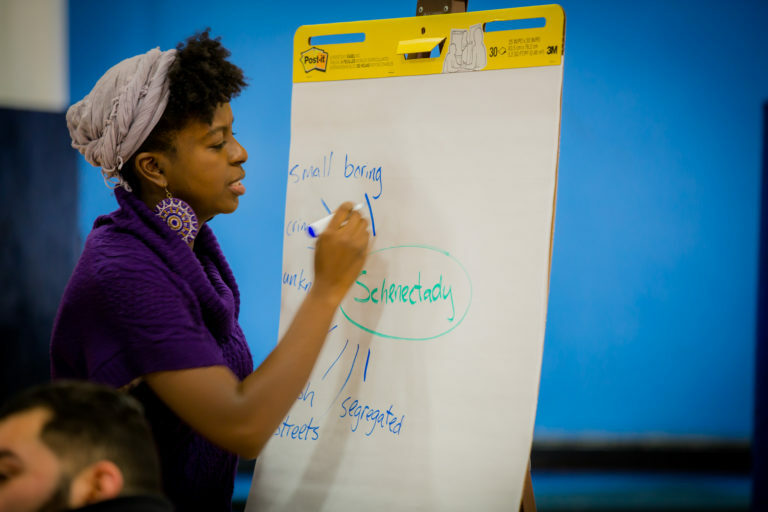 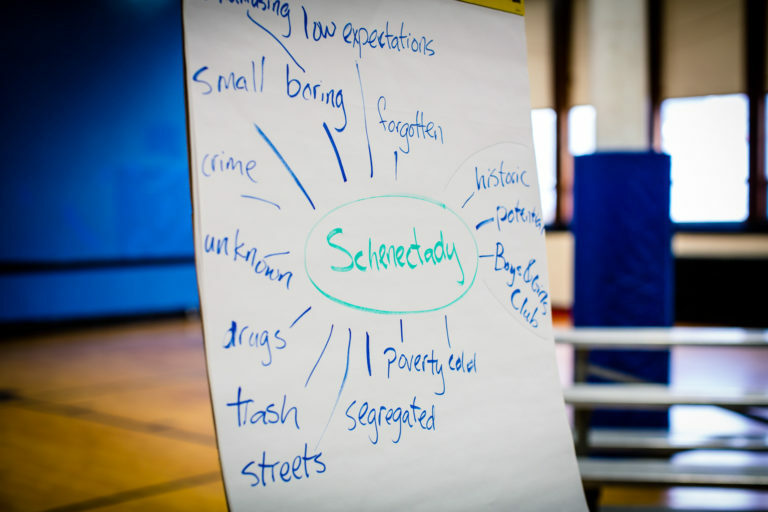 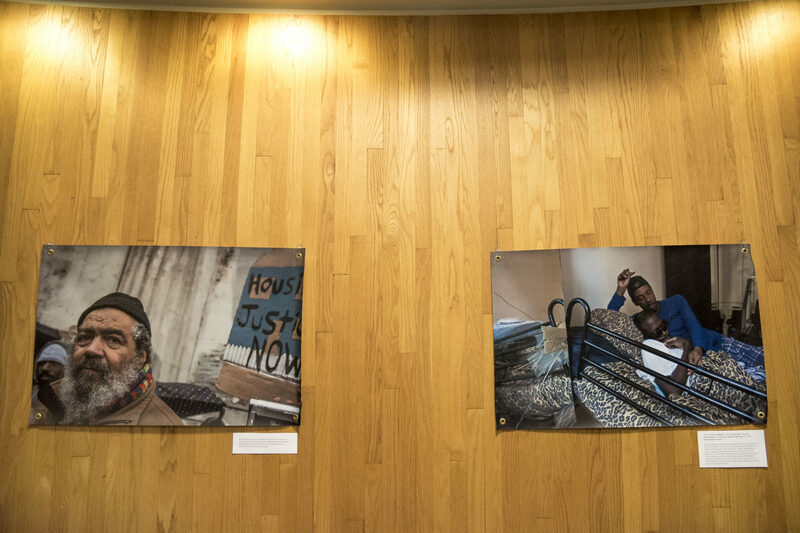 Building on their work of gathering stories in communities at the front lines of the struggle for home, Rachel and Michael created an installation at the Schenectady County Public Library’s Central Branch. 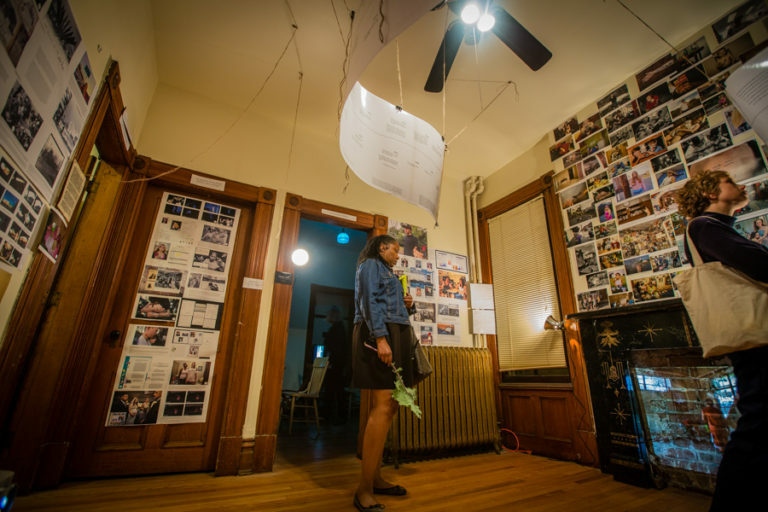 Their installation explored an alternate future to the housing crisis: the passage of the first U.S. 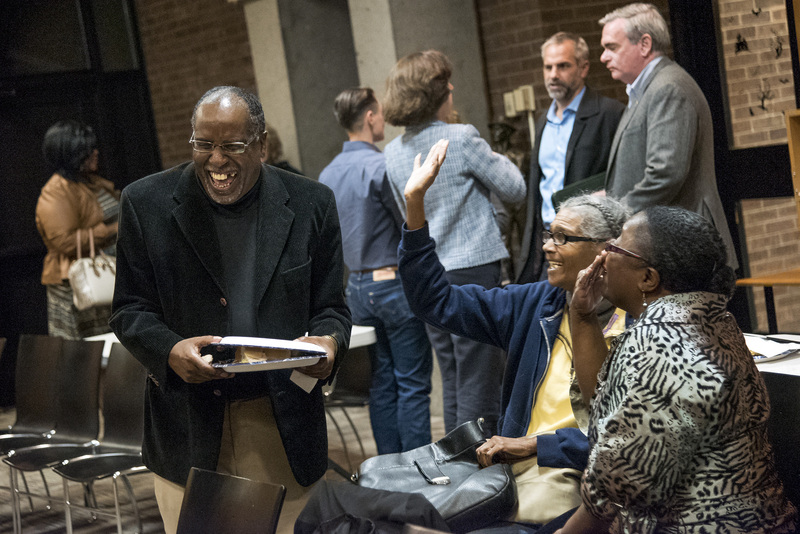 Constitutional amendment ensuring that every citizen has the right to adequate housing. 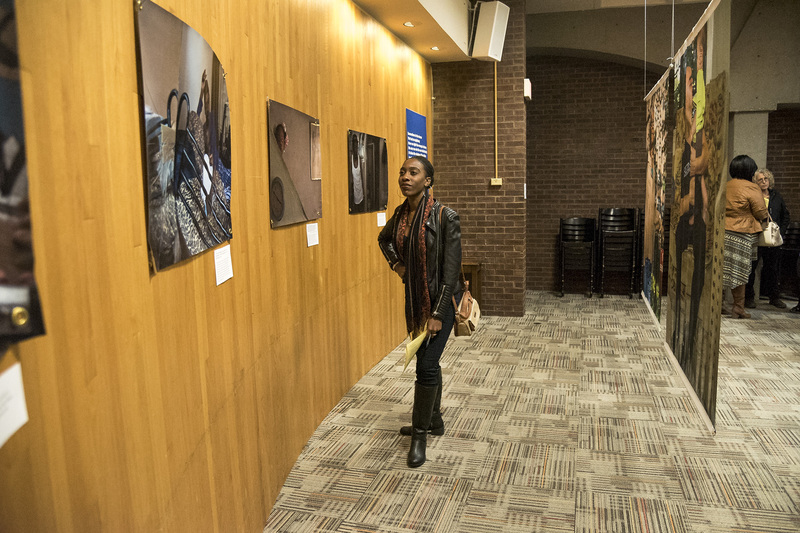 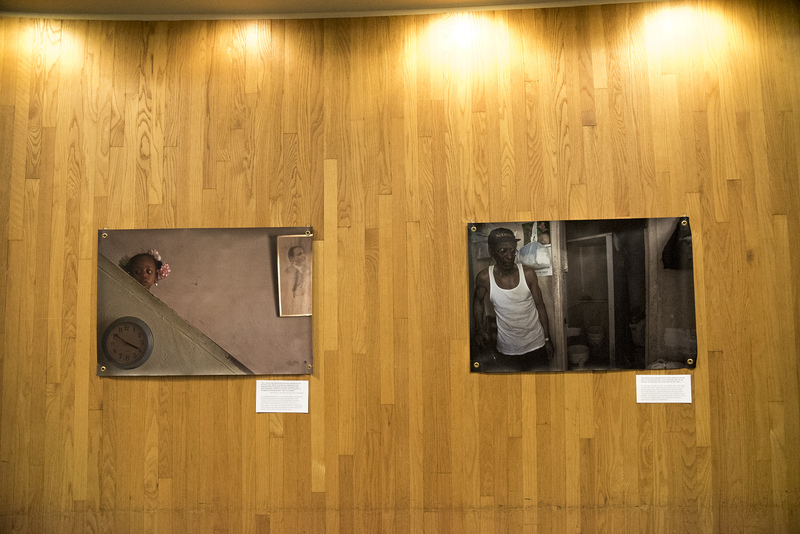 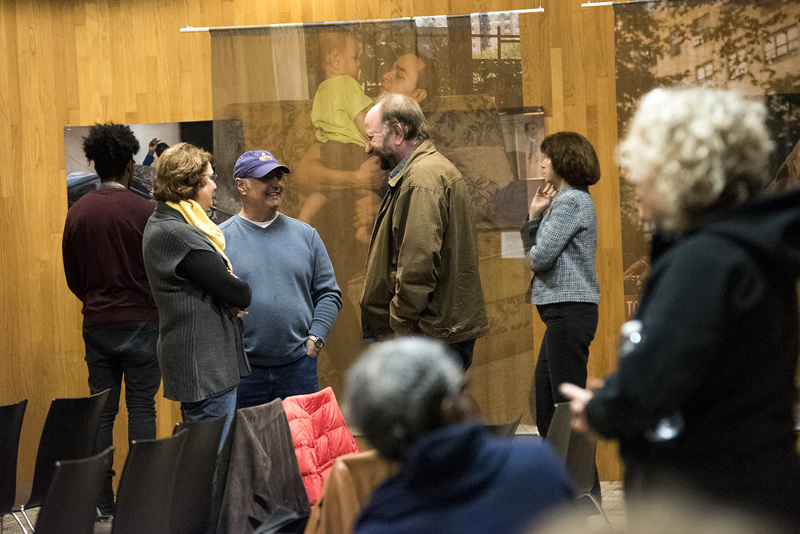 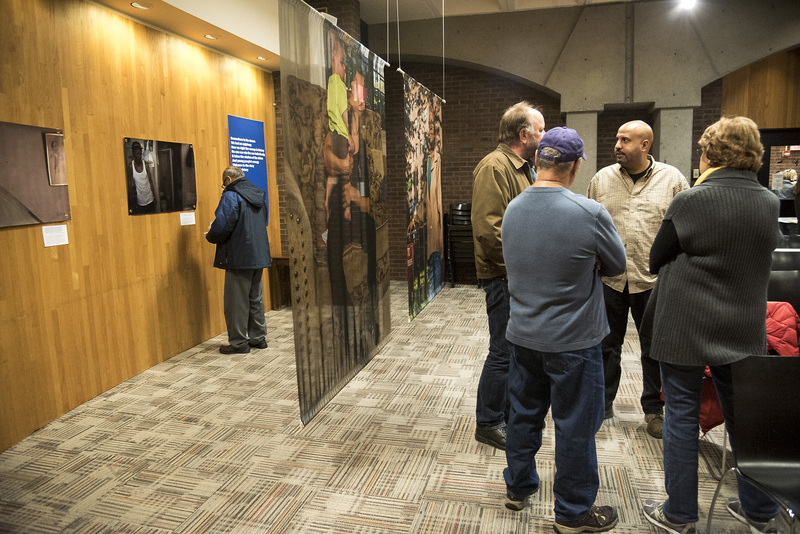 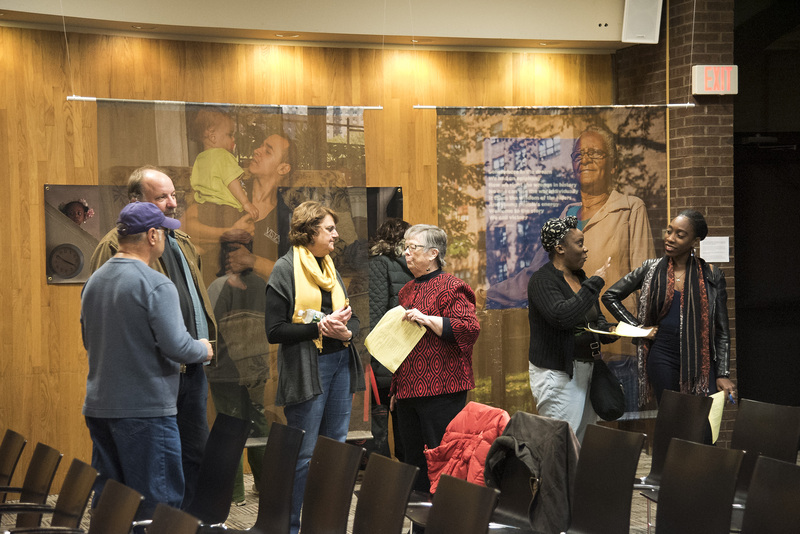 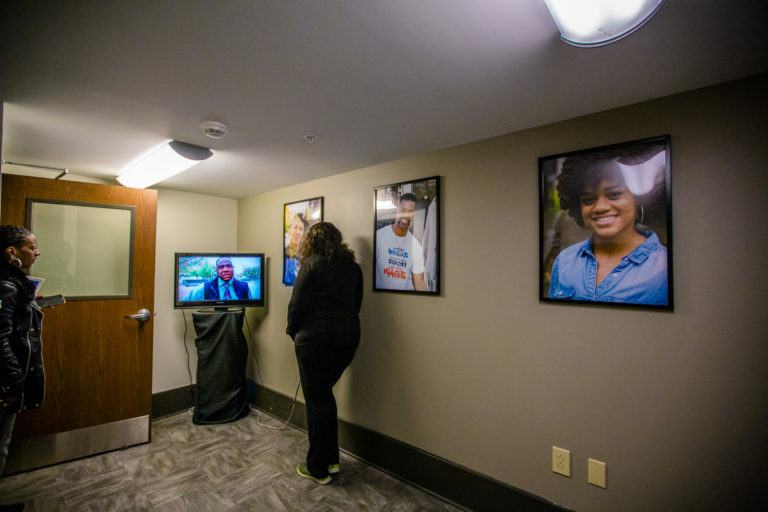 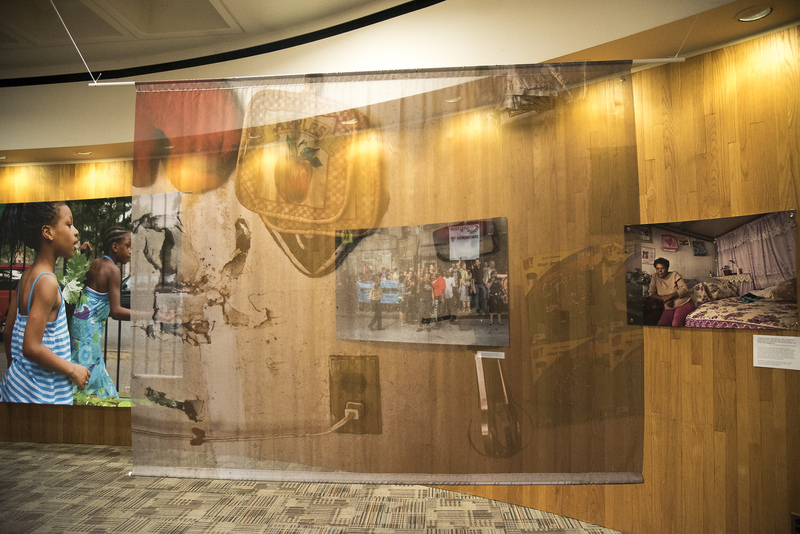 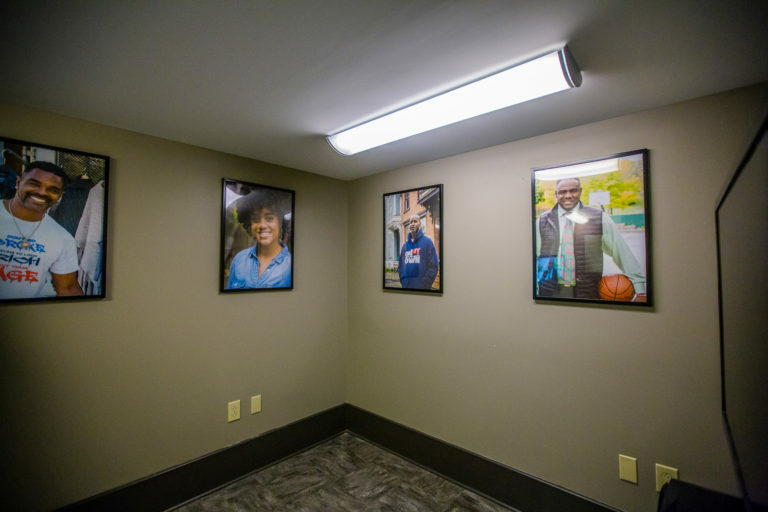 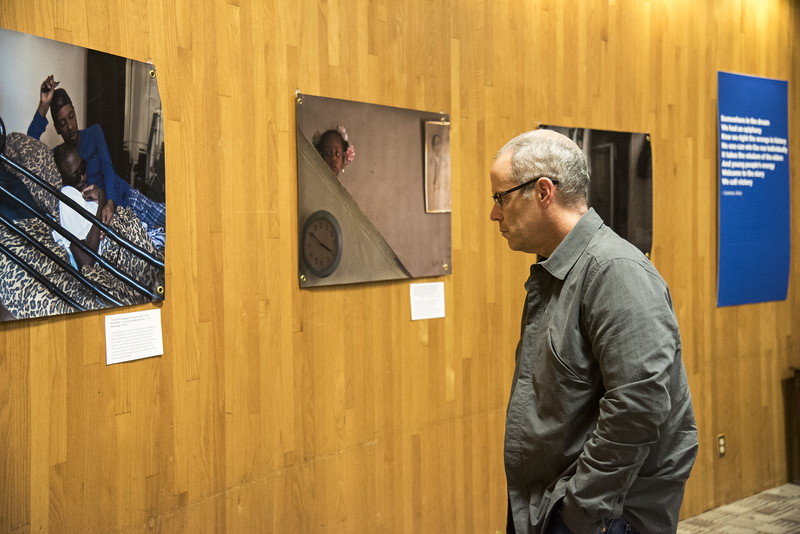 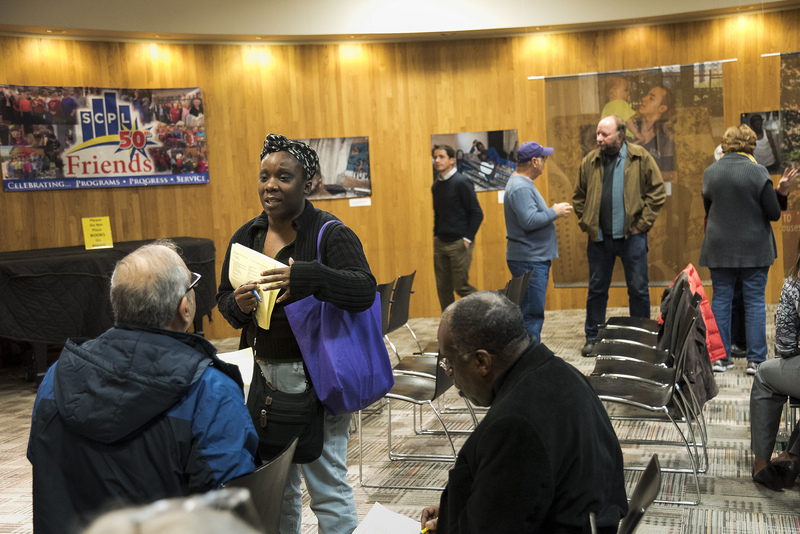 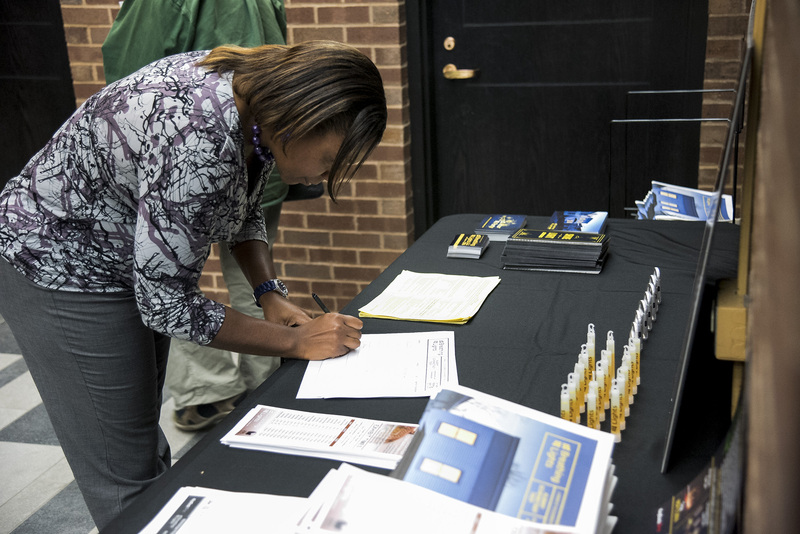 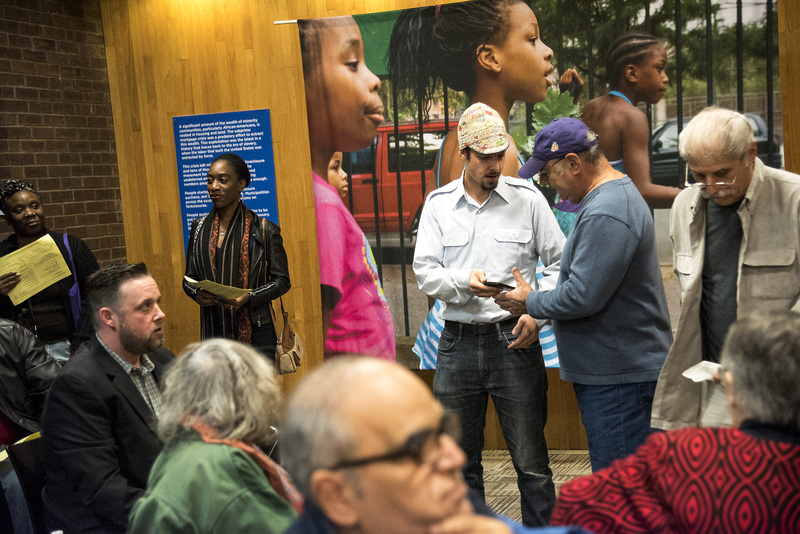 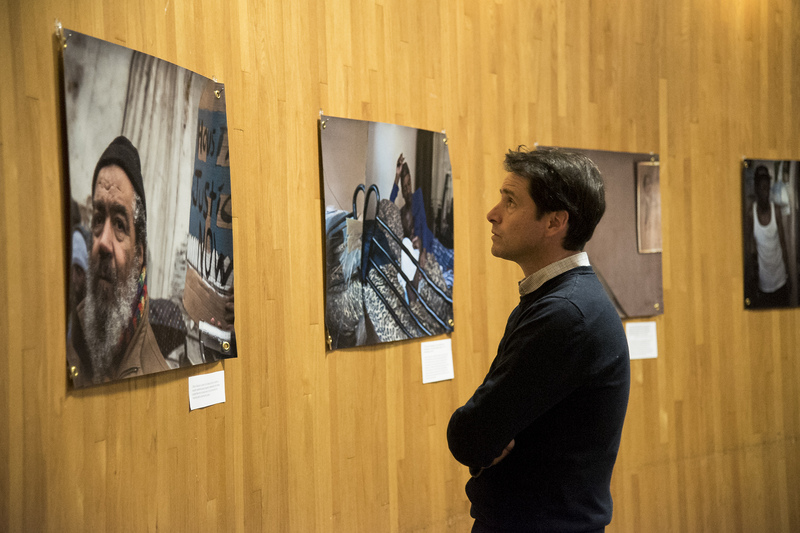 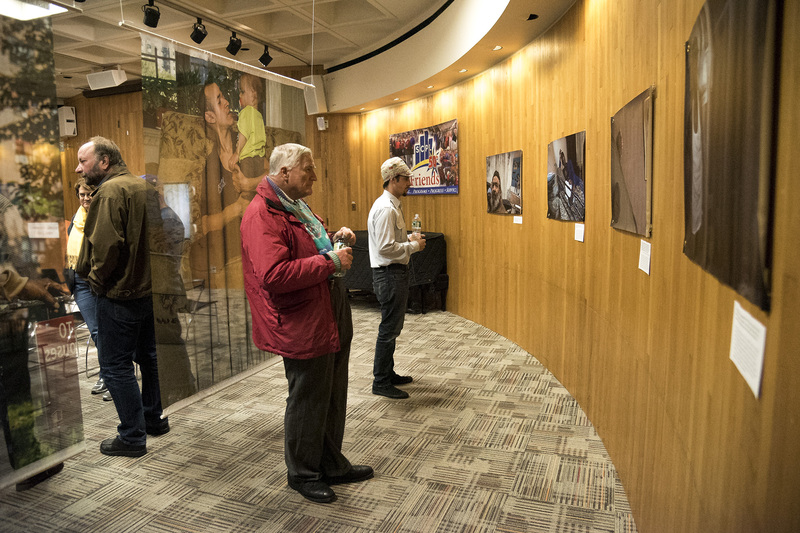 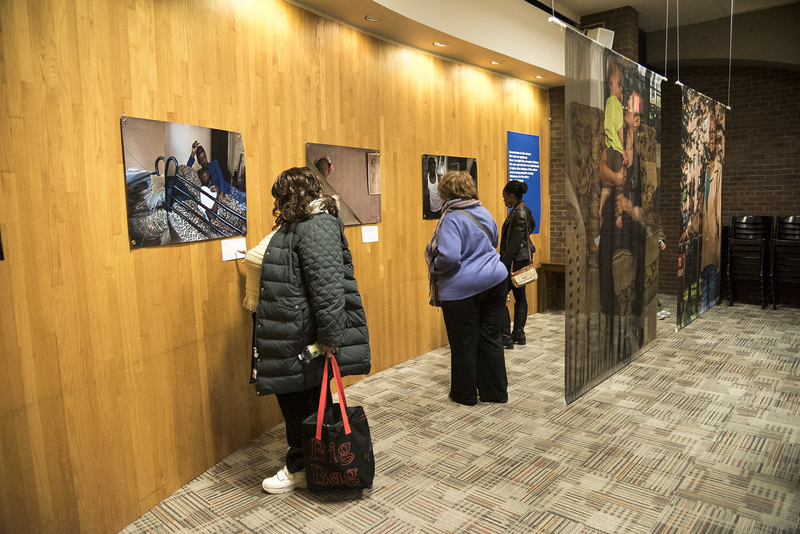 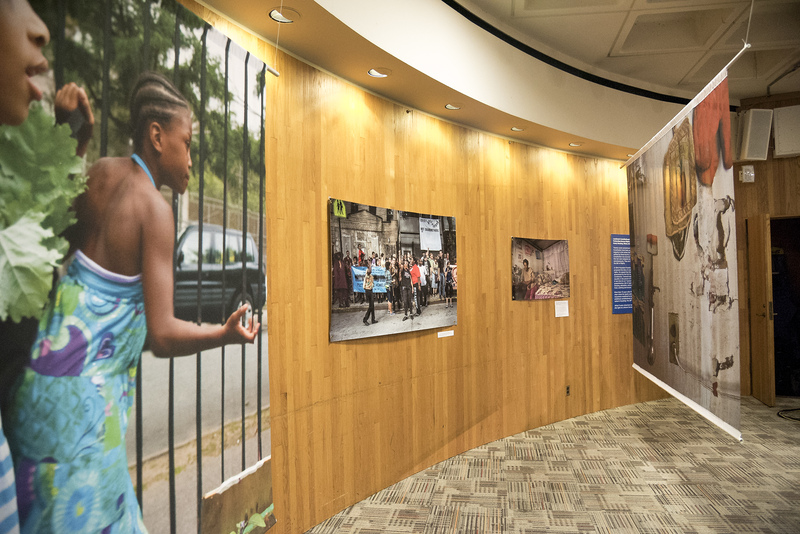 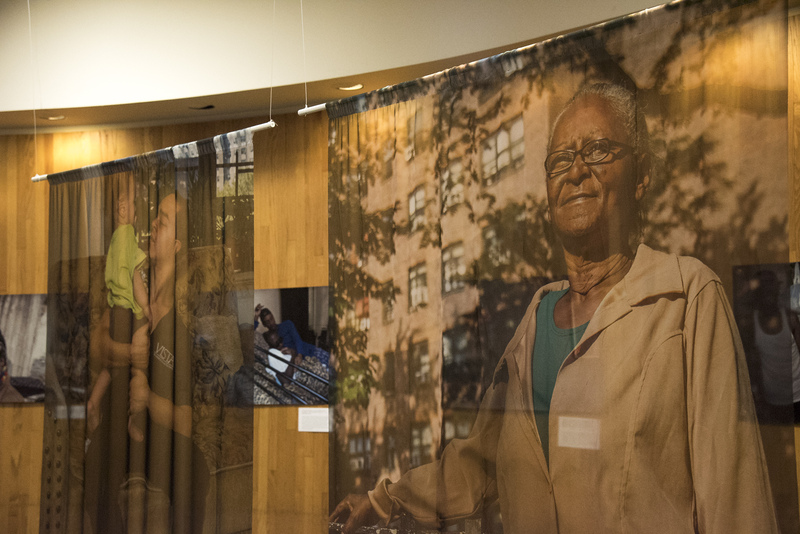 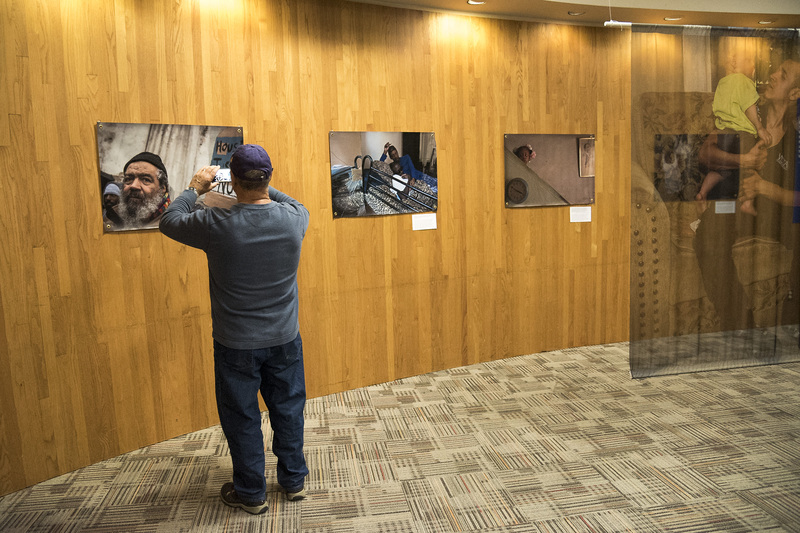 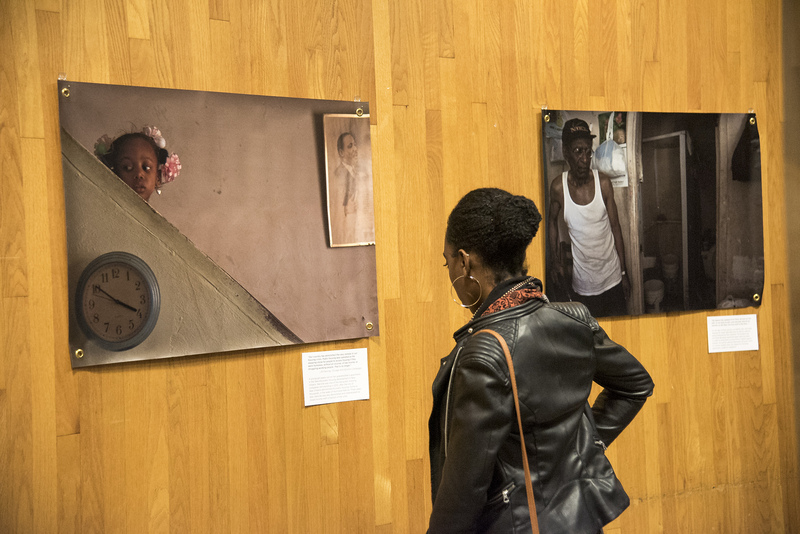 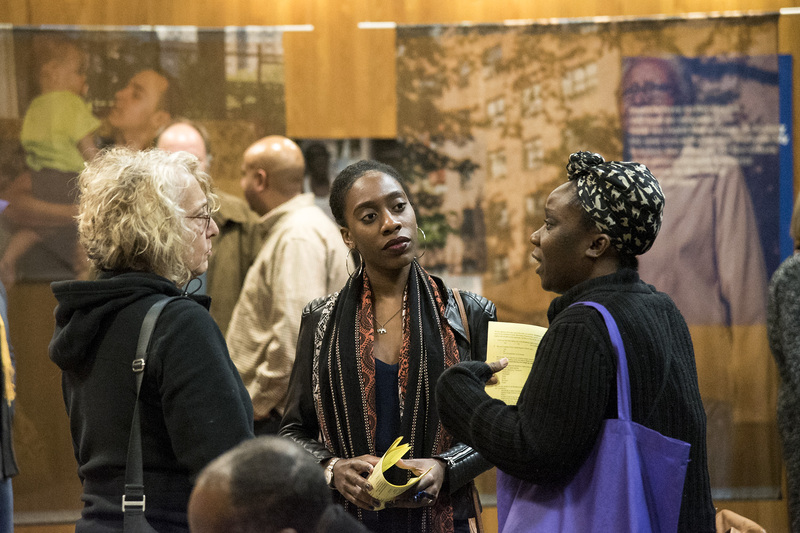 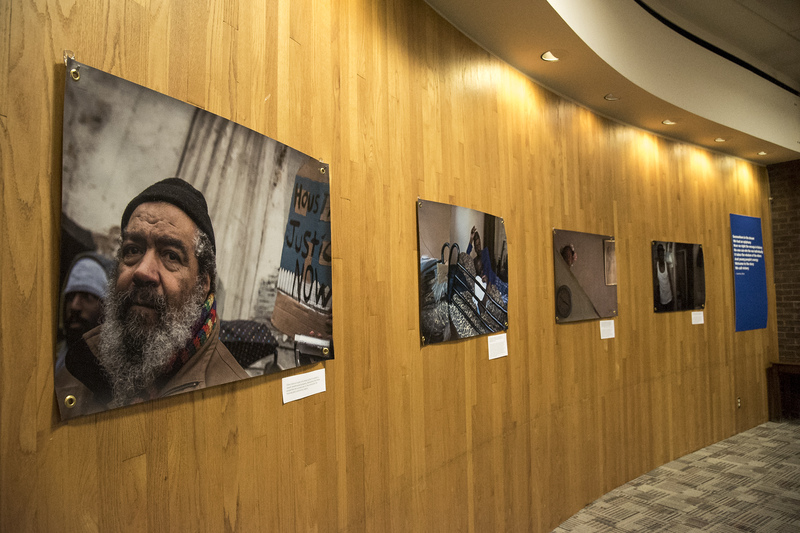 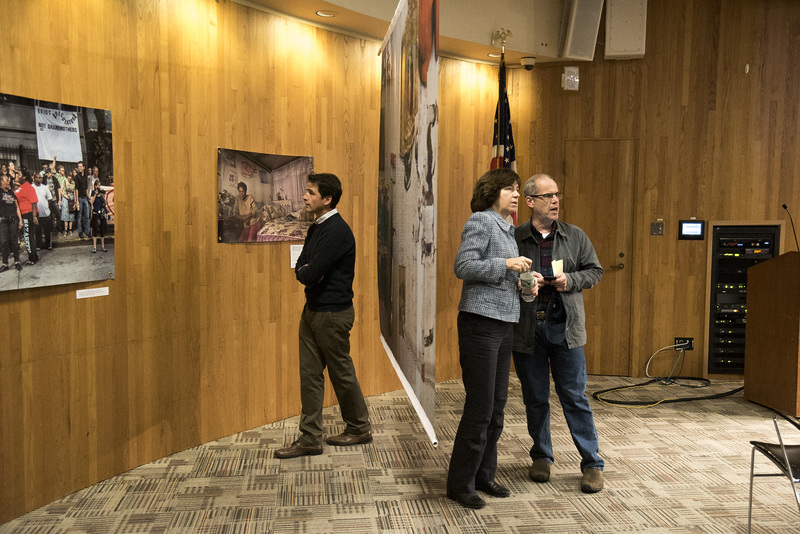 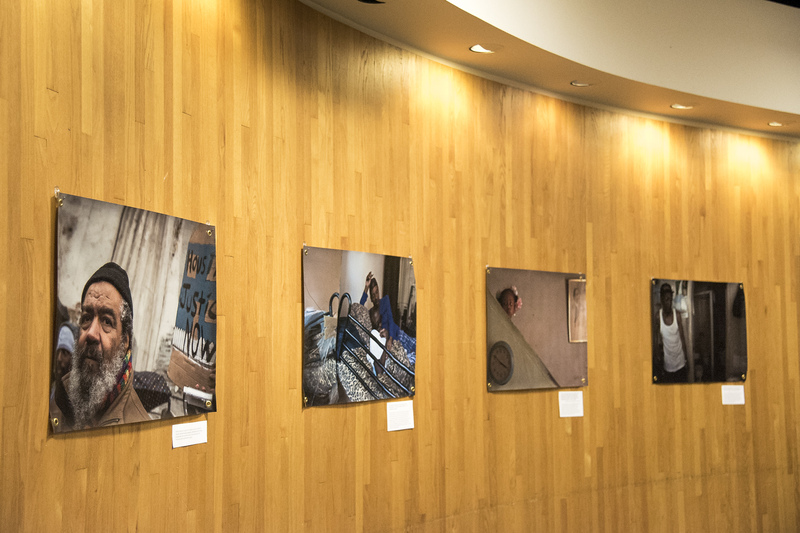 Their installation featured audio narratives, musical conversations and large-scale photographs and opened with a town hall meeting where the audience discussed housing issues. 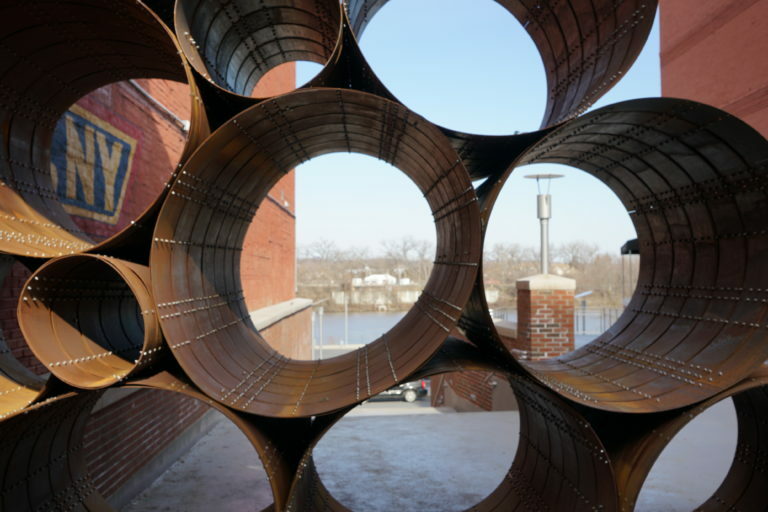 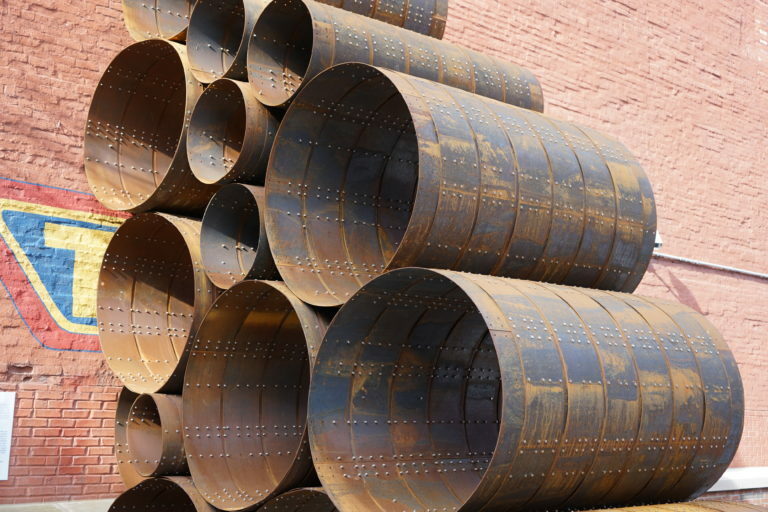 DeWitt installed a large site-specific sculpture in downtown Troy, adjacent to the Arts Center of the Capital Region, whose vacant upper floors were part of the Breathing Lights installation. 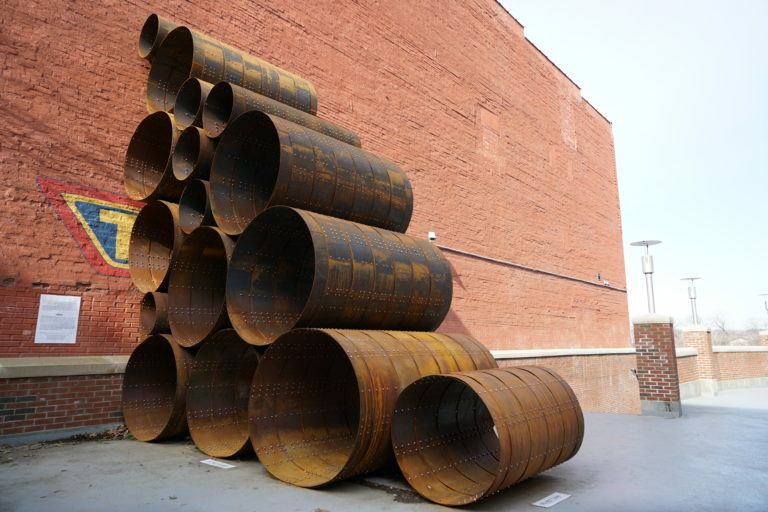 His sculpture negotiated the intimate relationship of public space and the built environment. 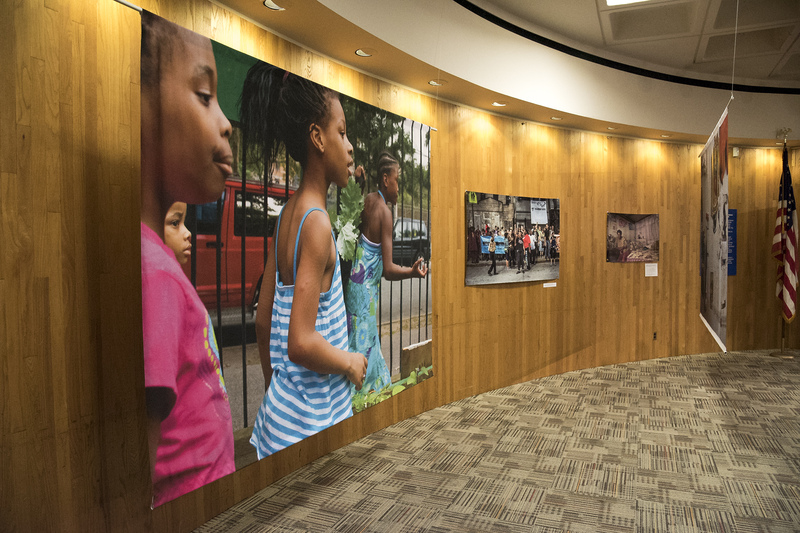 DeWitt’s work investigates the role art plays in community and helps viewers re-experience the familiar and reevaluate their place in the urban environment. 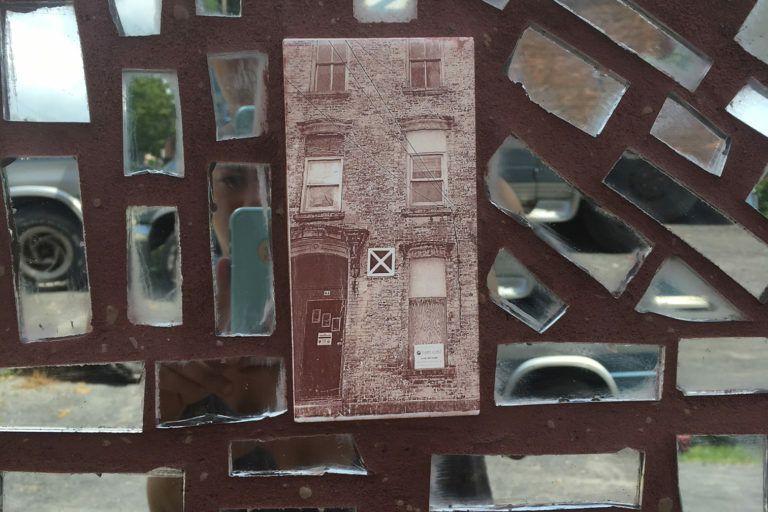 In partnership with AVillage, Jillian created small mosaics on buildings throughout Albany’s South End, a neighborhood with high rates of vacancy. 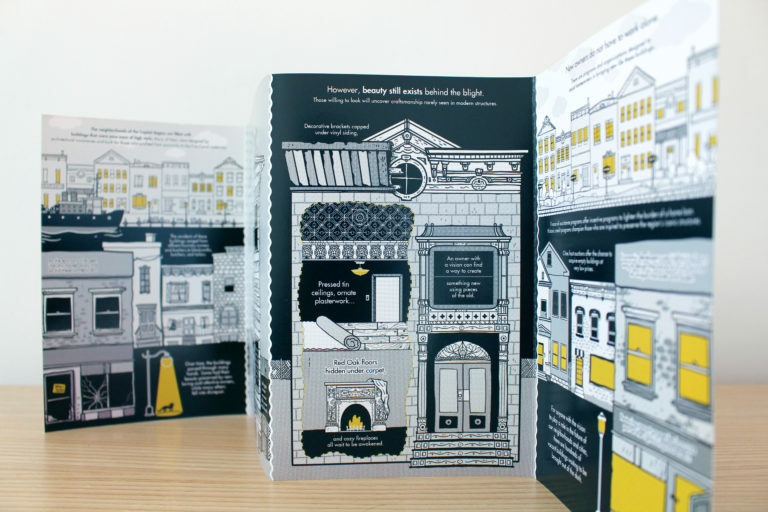 She designed each piece to provide a commentary on the vacant buildings in the neighborhood and to catch the eyes of passersbys. 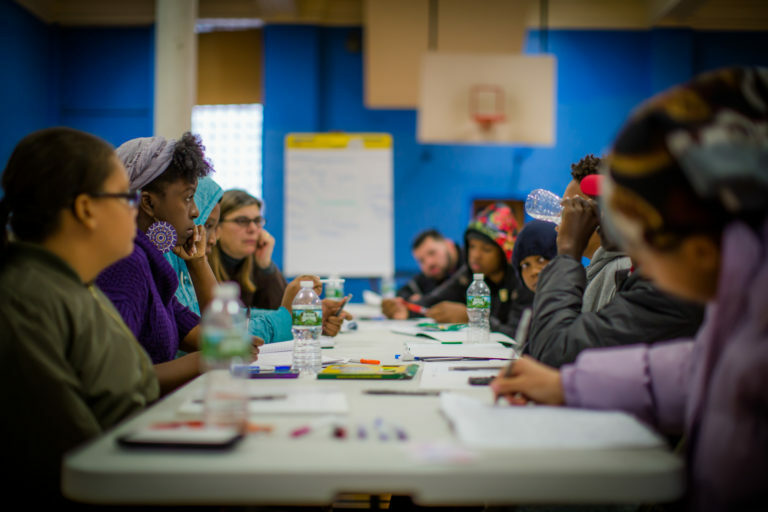 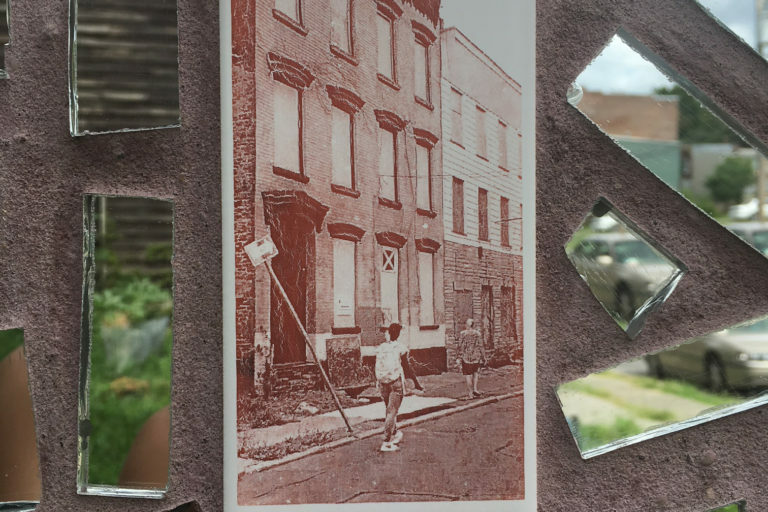 The center of each mosaic was a photo taken by youth enrolled in Albany’s Summer Youth Program and RADIX as they explored their feelings and ideas about vacancy and abandonment in their neighborhood. 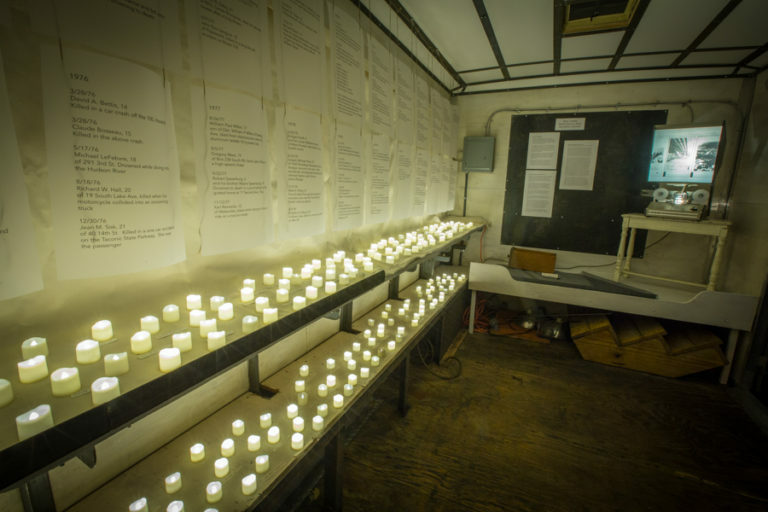 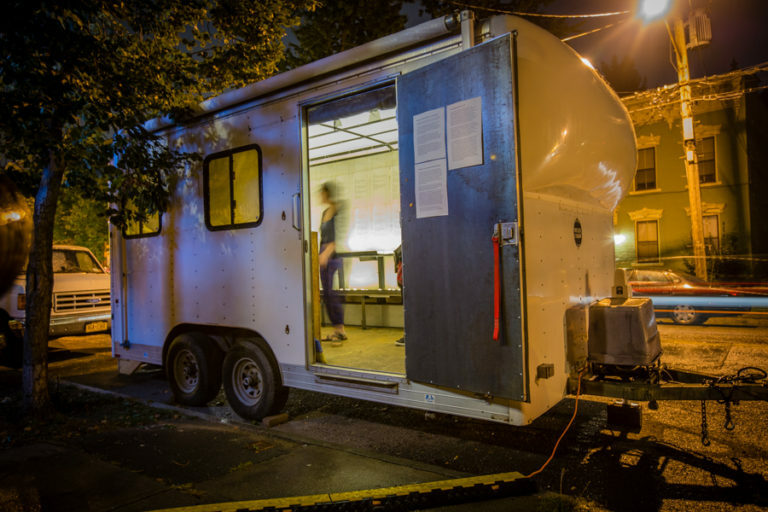 Brenda Ann transformed a 16-foot cargo trailer into a participatory traveling installation that honored the lives of children from Breathing Lights’ communities whose lives ended too soon. 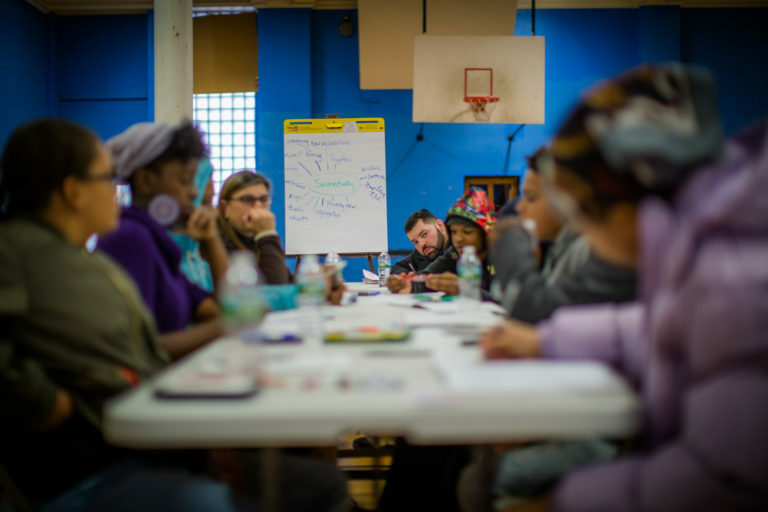 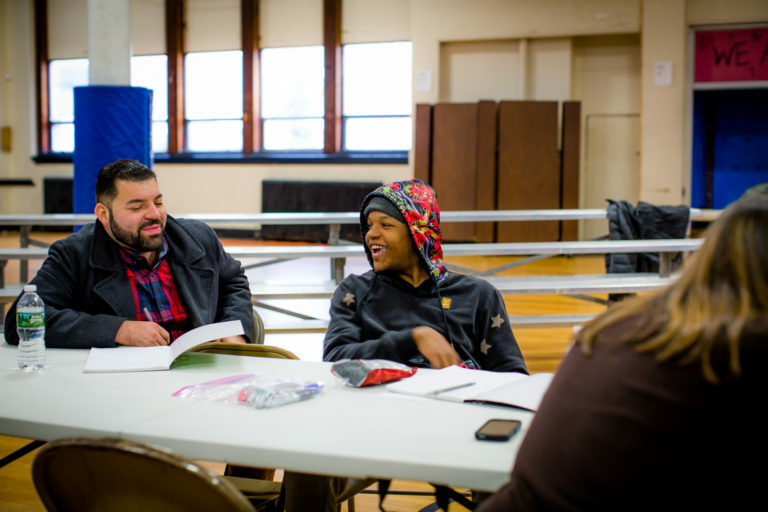 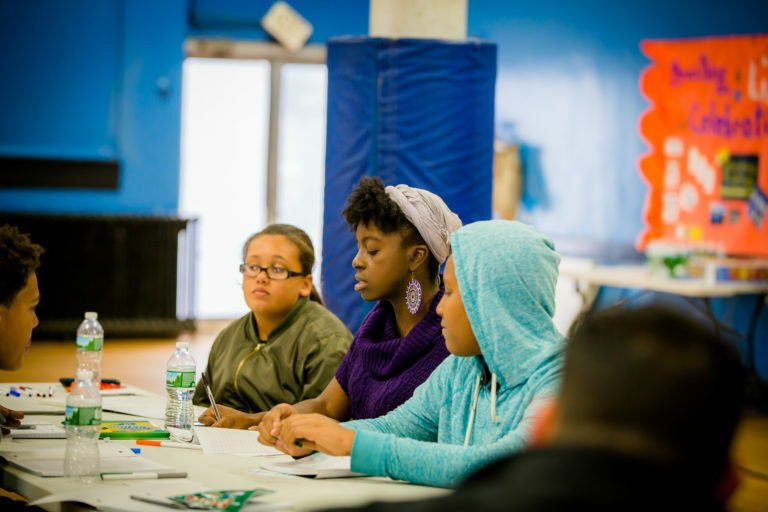 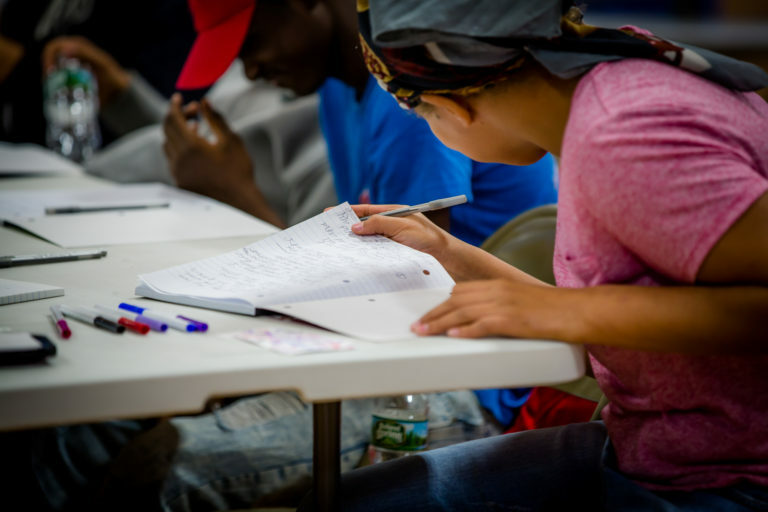 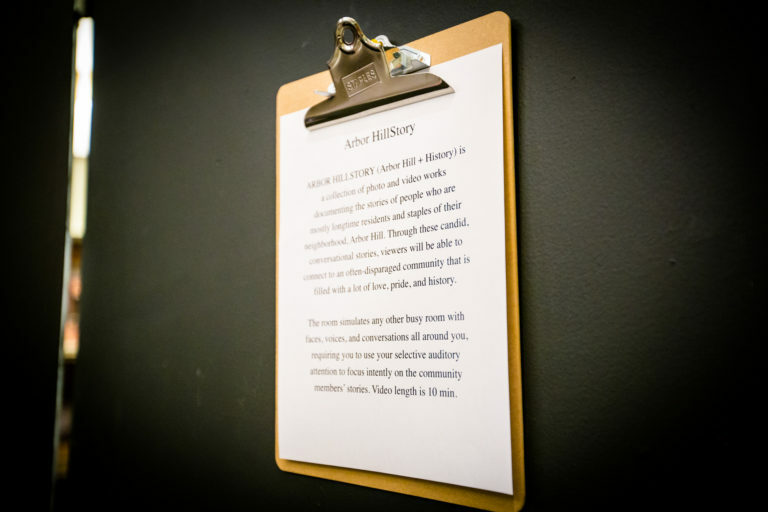 The “memory bank” was a collection of words, pictures and audio reflections culled from these communities that formed an open-ended collage to keep the stories of these young people alive. 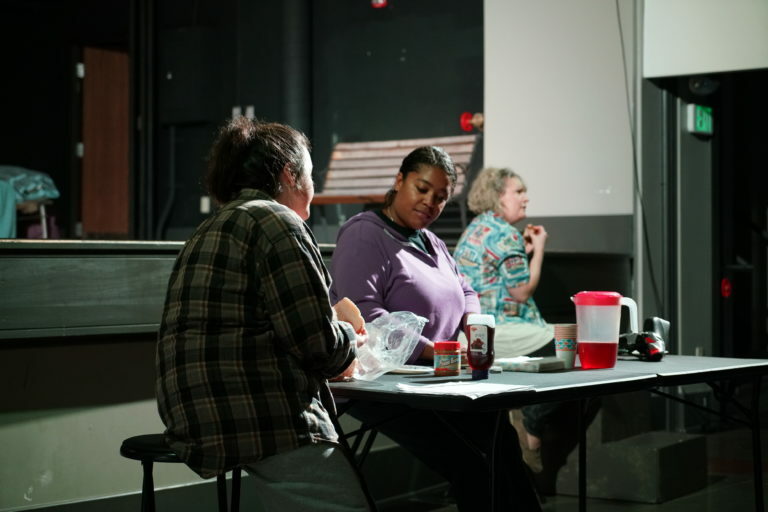 Michael wrote and directed a new play set in a single room occupancy for women located in downtown Albany. 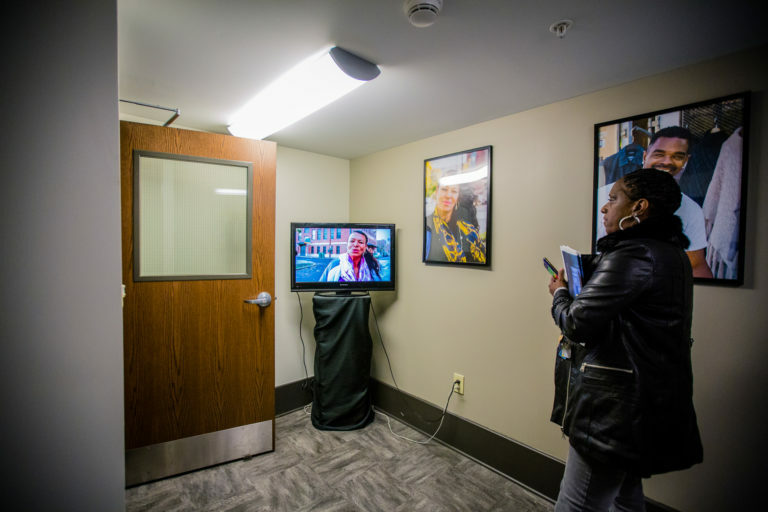 SRO: Single Room Occupancy follows three residents as they struggle to avoid homelessness, keep the support they receive and work toward improving their daily lives. 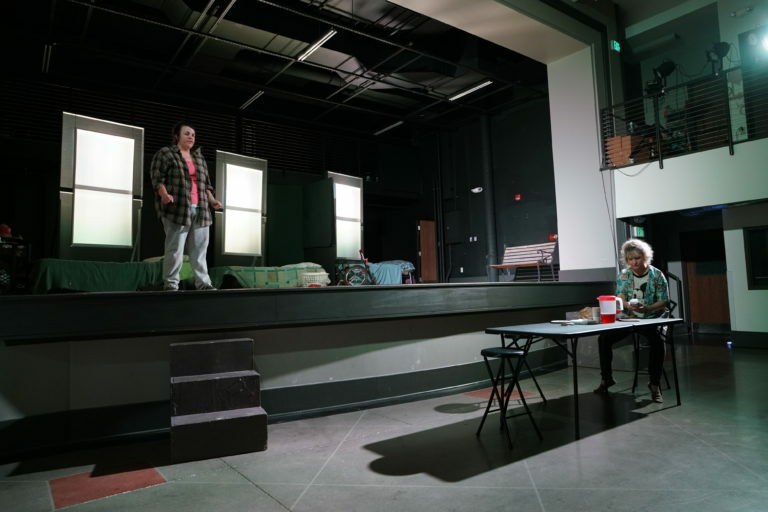 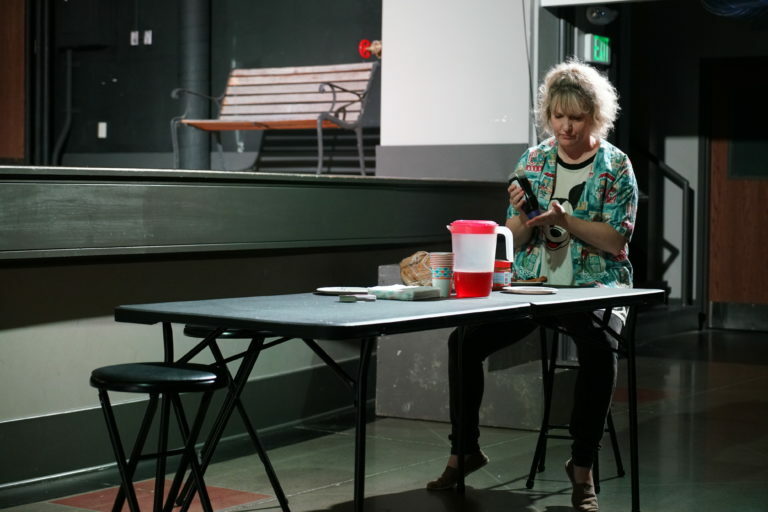 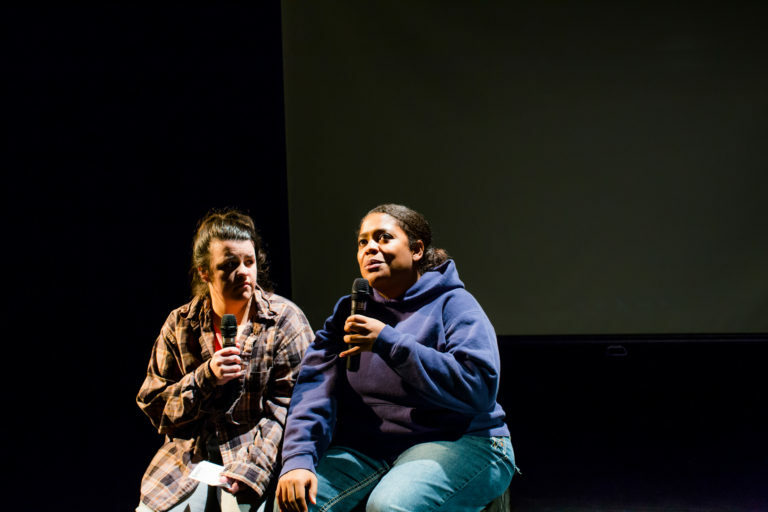 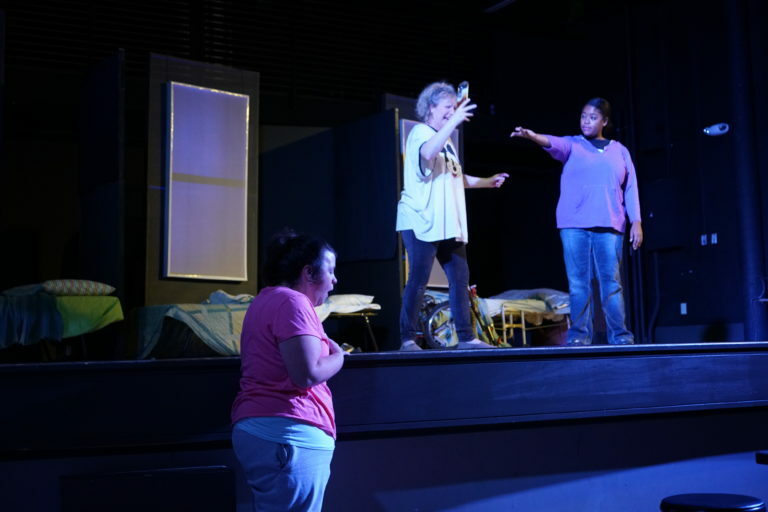 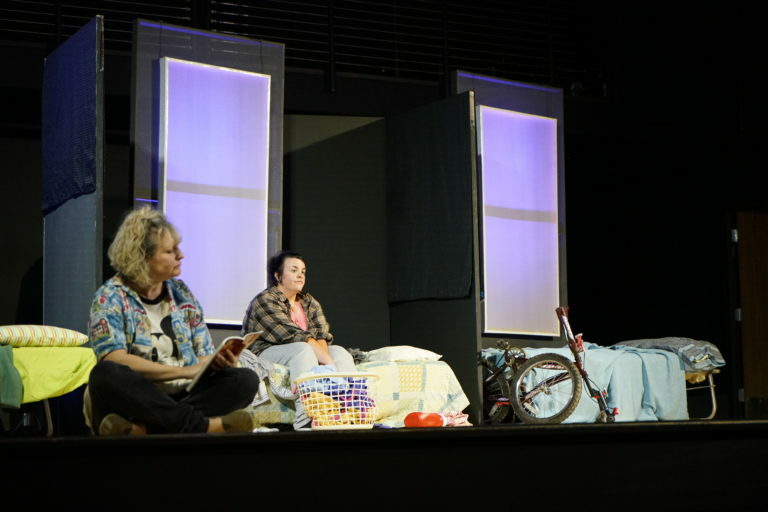 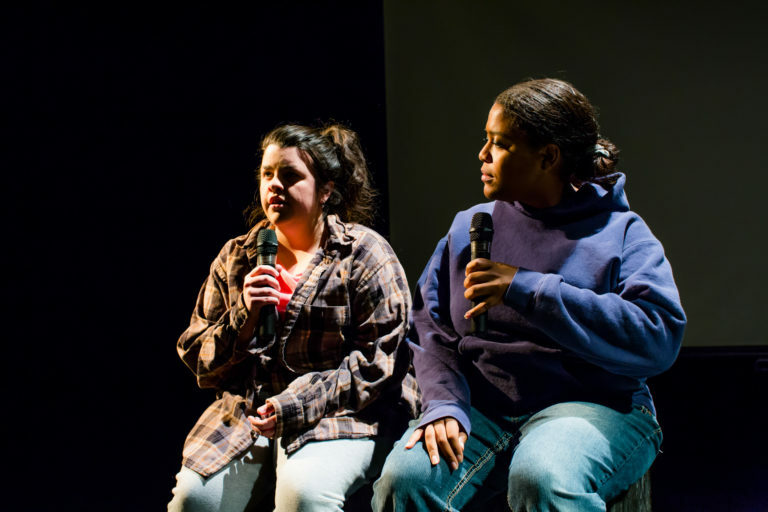 Each night’s performance was followed by a short session led by the Creative Action Playback Theater Company focusing on the topic of “home.” Playback Theater provides an opportunity for audience members to share personal stories and see them played back as theater. 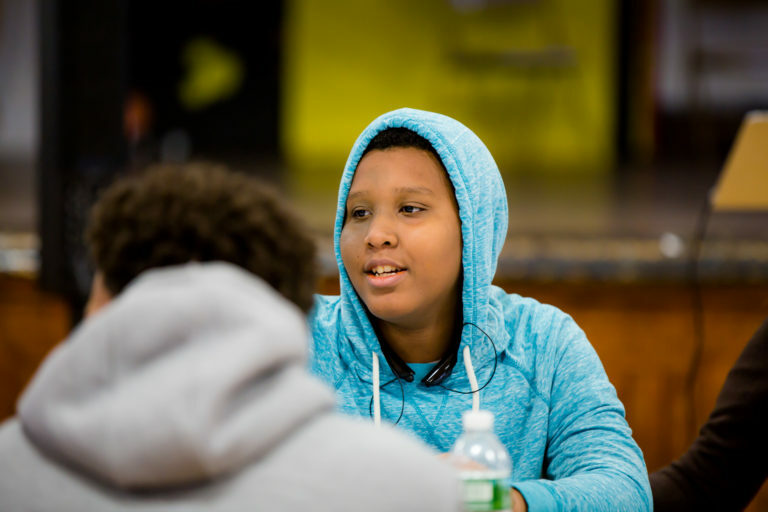 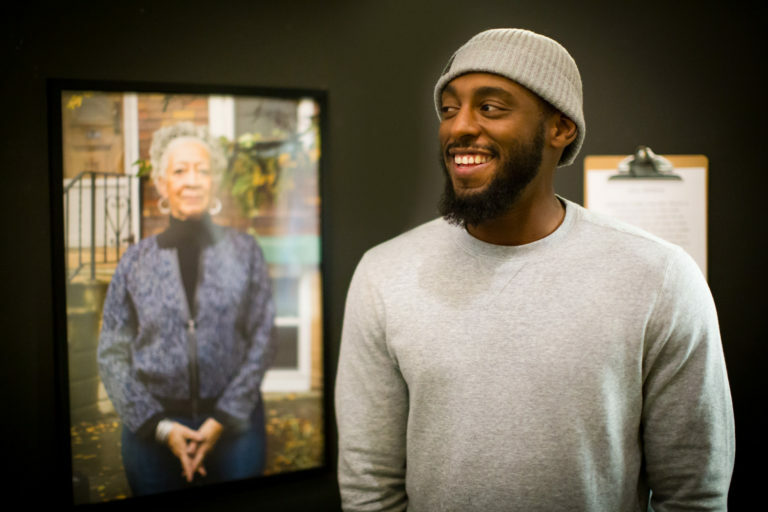 For ARBOR HILLSTORY (Arbor Hill + History), Jamel created a collection of photo and video works documenting the stories longtime residents and staples of Albany’s Arborhill neighborhood. 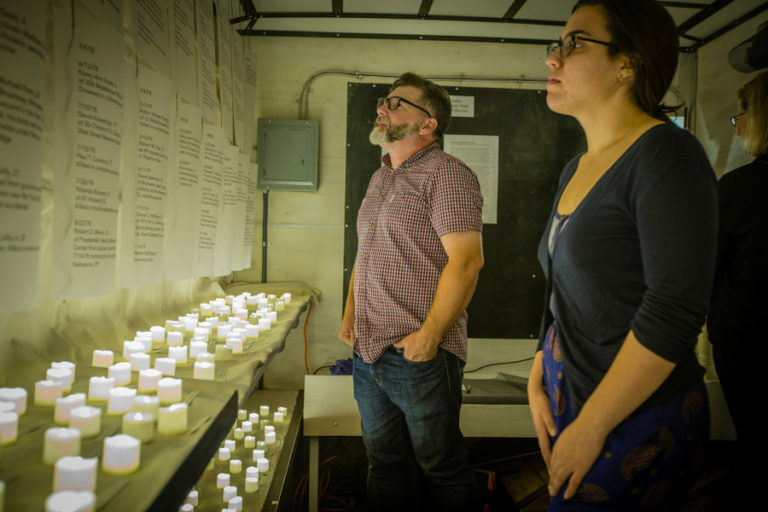 His work was featured in an installation at the Albany Barn, the neighborhood hub for Breathing Lights in Albany. 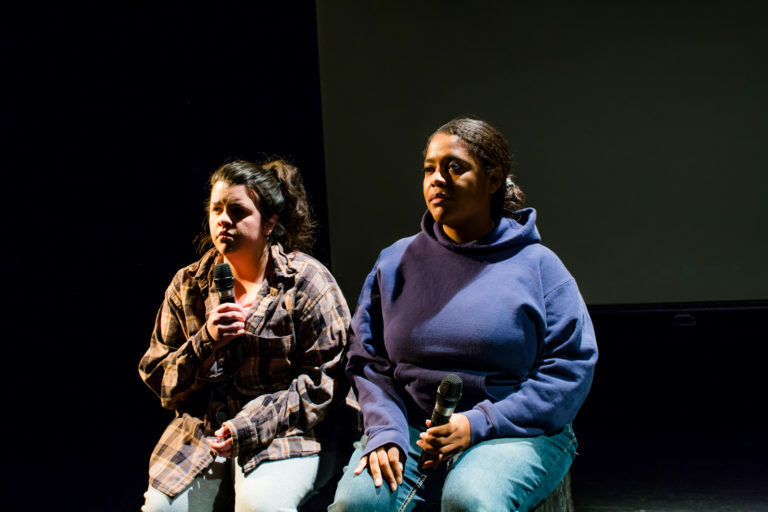 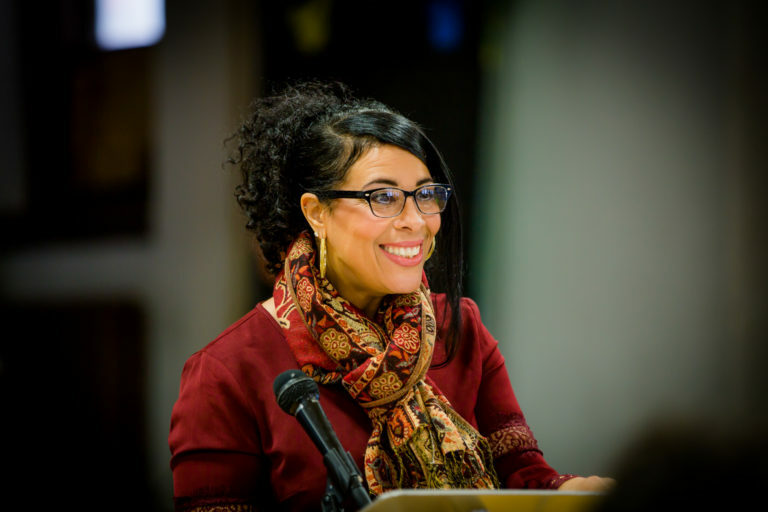 Through the candid, conversational stories viewers could connect to an often-disparaged community that is filled with a lot of love, pride and history. 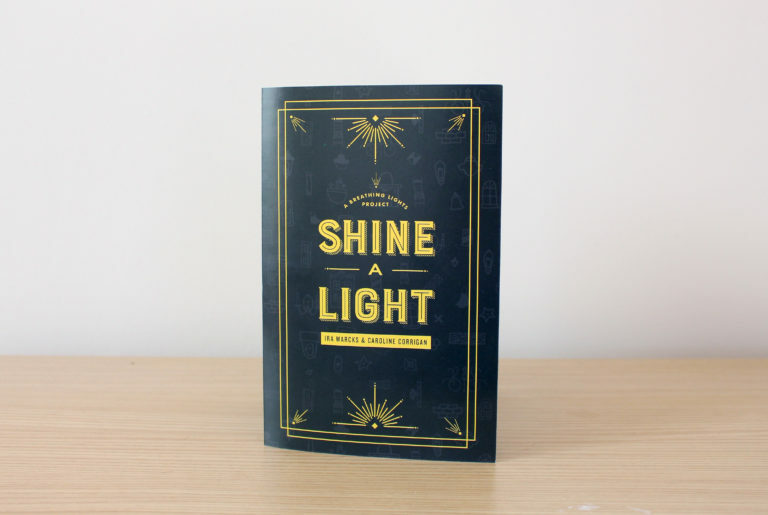 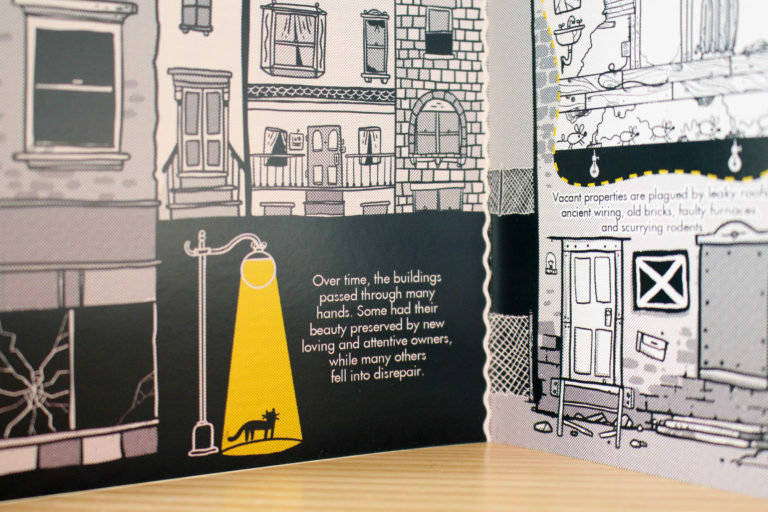 A collaboration between a local illustrator, Ira, and a graphic designer, Caroline, Shine a Light is a playful illustrative exploration into the vacant buildings behind the Breathing Lights project. 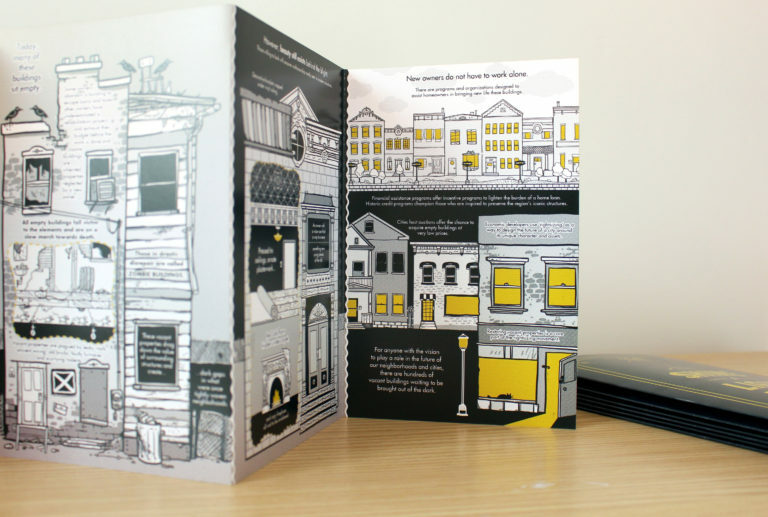 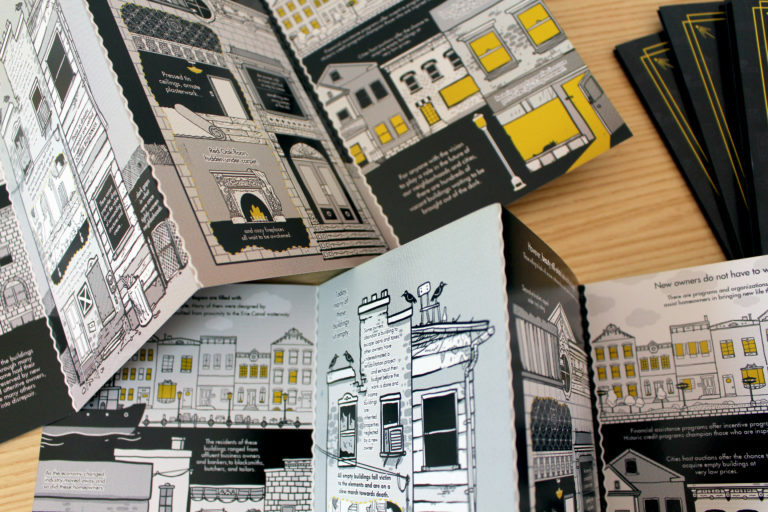 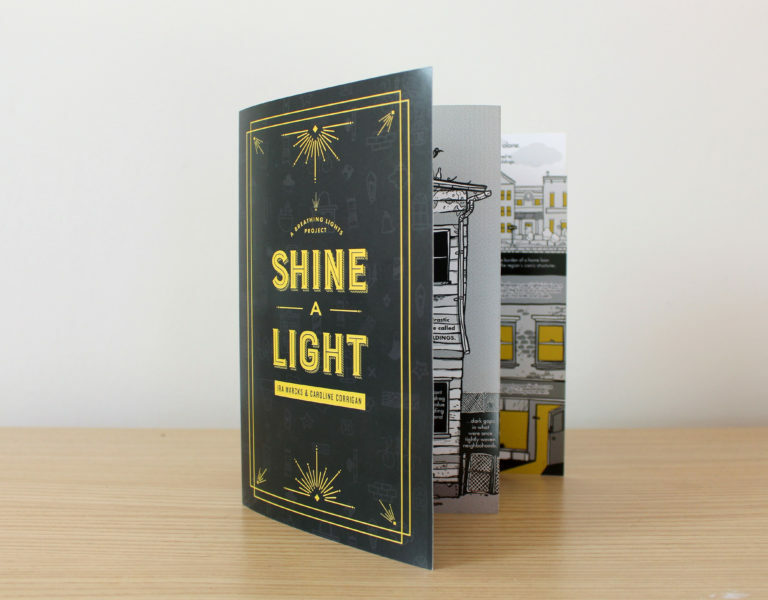 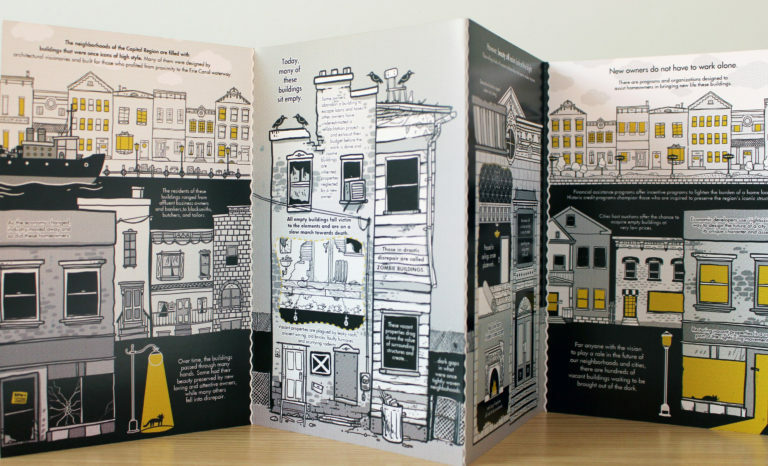 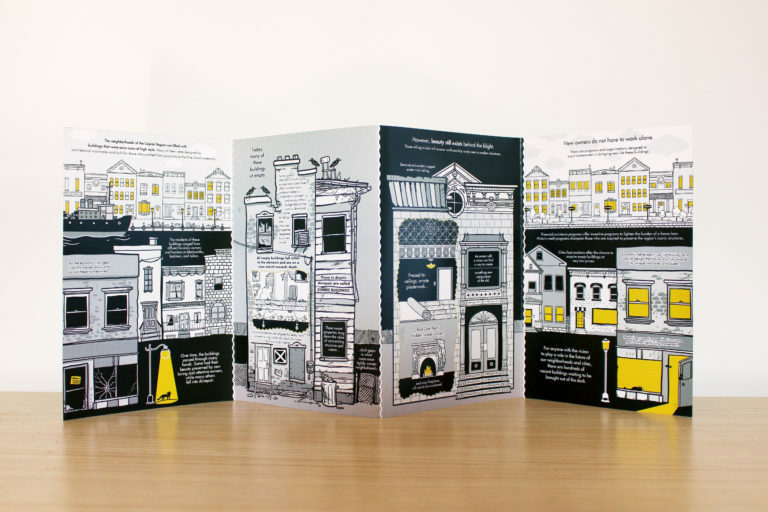 Their graphic “novella” depicts a typical life of a Capital Region historic home, from the time of creation with love and craftsmanship, through a state of disrepair and neglect, and into a hopeful, rehabilitated new life.